The Peak of Très Chic: Biscuit Home Turns 2! 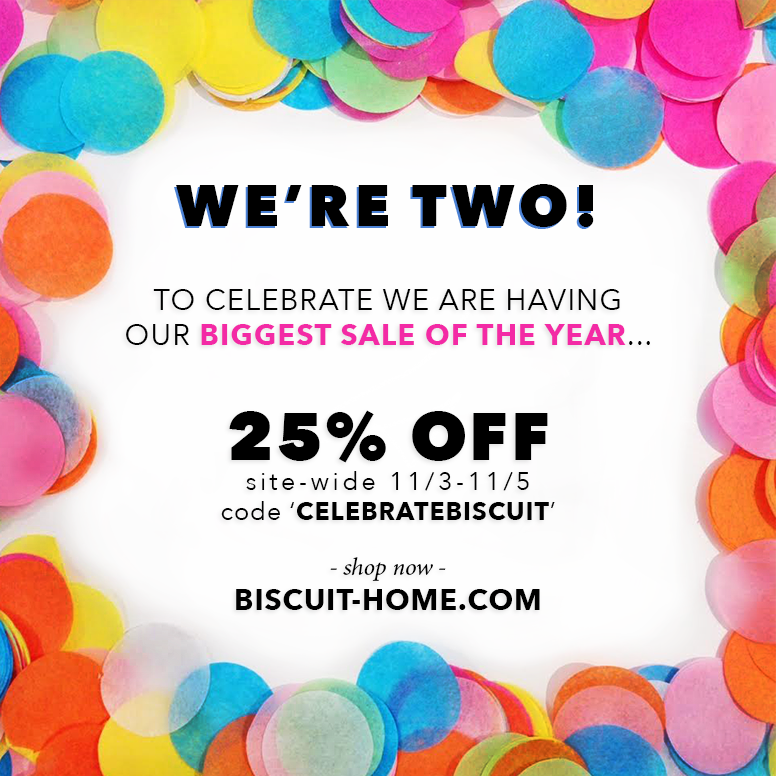 As many of you know, my girl Bailey's fab store, Biscuit Home, turns 2 years old this week! I love visiting the brick-and-mortar location here in Houston's Montrose neighborhood. In case you aren't lucky enough to live in our fine city, fear not- Biscuit also sells their bedding and home goods on their pretty website. And to celebrate their birthday, the entire store is 25% off with code CELEBRATEBISCUIT at checkout.